The taller we build our cities, the windier they become. When gusts blow through urban areas, they become trapped between buildings, catapulting wind into chaos. Because traditional turbines only capture wind travelling in one direction, this plentiful resource is left untapped. Nicolas Orellana from Chile and Yaseen Noorani from Kenya, who met at Lancaster University, think they have a solution. A 25cm sphere with geometric vents, their O-Wind Turbine sits on a fixed axis and spins when wind hits it from any direction. When wind turns the device, gears drive a generator, converting the power into electricity. This can be used as a direct source of energy, or fed into the grid. The turbines could go on tall buildings or balconies, where wind speeds are highest. You might not lick your lips at the prospect, but insects are a great source of protein and many experts think we need to eat more of them to feed the growing global population. 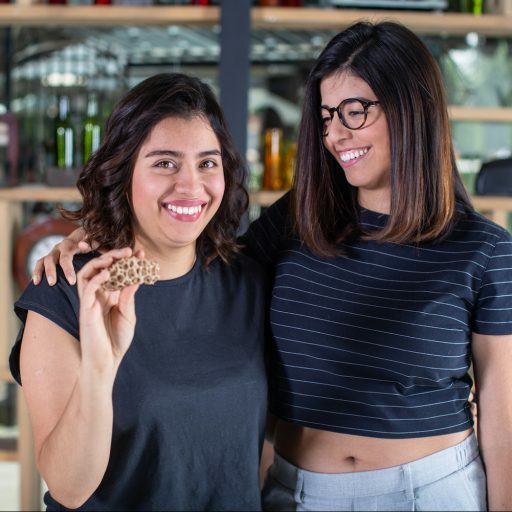 Two billion people around the world already eat insects regularly, point out Karla Rosales García and Mariana Cervantes Macías of Mexico City-based company Insecto-Lab. 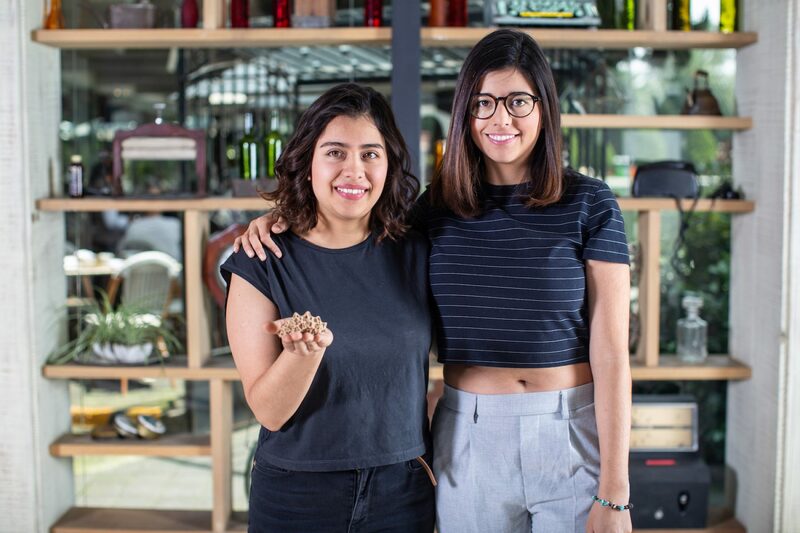 The pair have designed Azcatl: a prefabricated nest for ants, which helps the insects to establish colonies quickly and easily. Azcatl means ‘ant’ in the indigenous Nahuatl language, but the foodstuff in question is not the ants themselves but the ‘escamoles’ – larvae. The nests, which are made from 100 per cent biodegradable materials, mimic the ants’ own nests and are designed to help rural communities more easily harvest the insects for food. The ants require only a small amount of water and leaves or vegetables. “Here, one kilogram of escamoles sells for about 1,000 pesos (£39 or $53USD) so this could form a family’s principal income,” says Macías. From Johannesburg to Las Vegas, due to rapid urbanisation many cities have a serious pollution problem in their lakes, creating a buildup of plastic waste and unsafe water. The developers of Orca, a water-cleaning robot, say it has the potential to clean a lake up to seven times faster than manual cleaners, costing 70 per cent less. Jiannan Zhu, Yuwei Cheng and Zhe Wang from China are behind the design, which has a rubbish basket and image transmitting equipment, allowing the remote control operator to see what’s in front of it. Kevin Chiam from Singapore wants to make cooking easier and safer for blind and visually impaired people. So, he has designed a range of safe, inexpensive kitchen utensils. 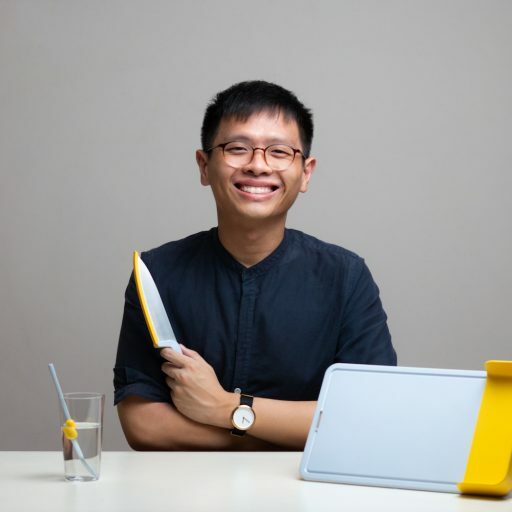 “Cooking is a huge challenge for people without vision, and so I designed a set of kitchenware that is simple to use, that leverages on tactile cues to sort of guide them along the process of cooking,” said Chiam. The range – Folks Kitchenware for the Blind – includes a knife fitted with a detachable plastic guard; a chopping board plus side tray to help with scooping and prevent waste; attachable stove rings that help avoid burns; and a saucepan lid that stores utensils on top. There are an estimated 8m tonnes of plastic in the world’s oceans, and the food industry is one of the main sources of waste. 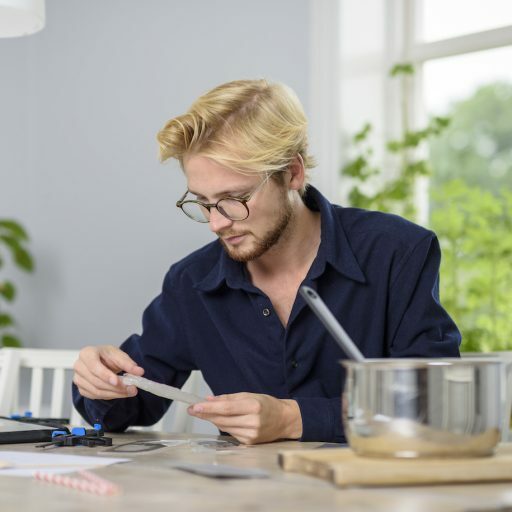 Looking to limit the use of plastic and change our consumption habits, Pontus Törnqvist from Lund University in Sweden has created Potato Plastic. The biodegradable material made from potato starch can be used for anything from straws to cutlery, and will turn into compost just two months after use. 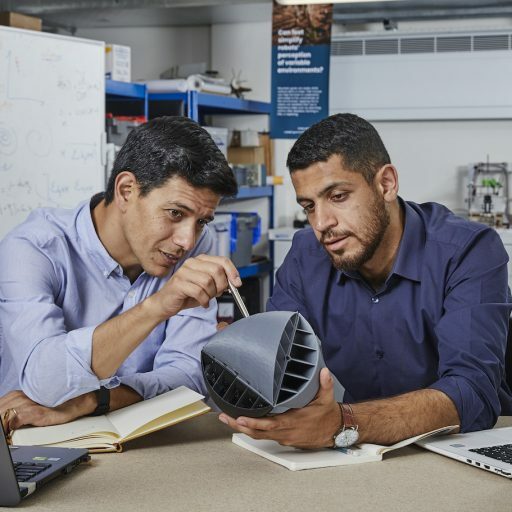 All projects were shortlisted in the 2018 James Dyson Award, which was open to university-level students and recent graduates studying product design, industrial design and engineering. 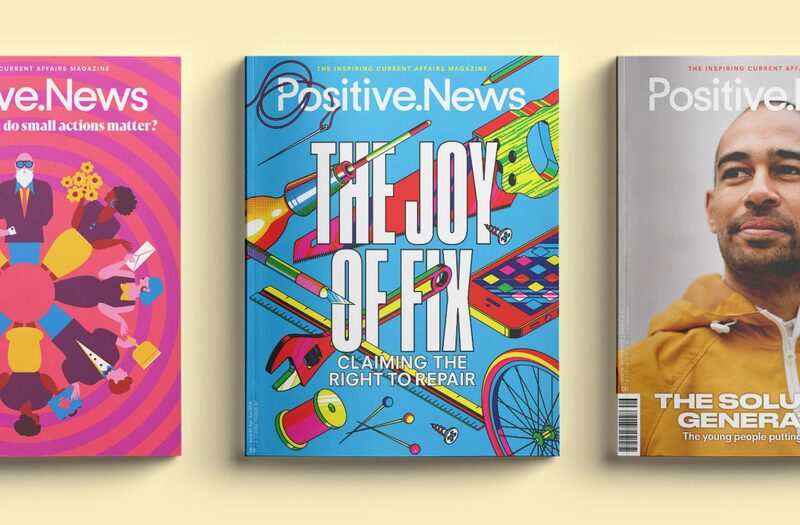 It rewards imaginative design solutions to global problems, with the environment in mind. O-Wind Turbine was the overall winner.